According to a recent World Health Organization report, people living in rural areas often lack access to medical resources and need to travel long distances to hospitals for medical treatment — a situation which, until recently, seemed to have no solution. As communication and hardware technologies have rapidly developed in recent years, however, many services and applications integrating these technologies into daily life have come to form an Internet of Things (IoT), and this makes it possible to address the problem of access to medical services in rural areas. In addition, governments formulate policies in order to respond to rural healthcare requirements and can provide patrolling medical vehicle services to take care of residents in these remote areas. On the other hand, owing to the rapid development of human physiological sensing devices, people with chronic diseases or those who require long-term monitoring of physiological conditions can wear these physiological sensing devices, and the sensing data can be provided to rural medical vehicles, so that doctors can diagnose symptoms. People with complicated or severe conditions can go to large hospitals in urban areas for further diagnosis and treatment. However, a great deal of the information transmitted during these processes is sensitive data, which must therefore be protected with security protocols. 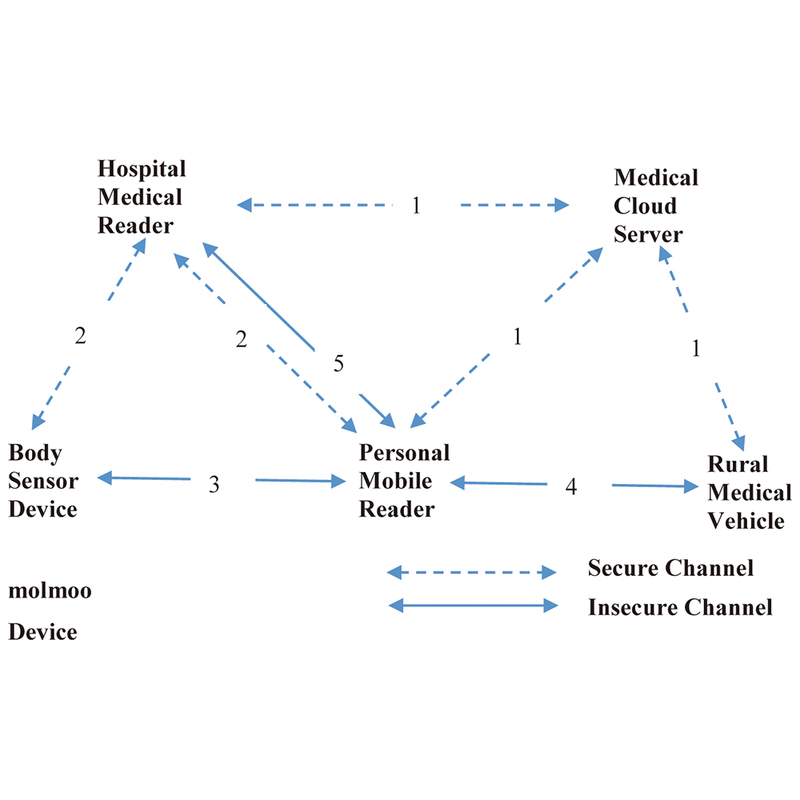 Therefore, in this study, we propose an IoT-based rural medical monitoring system. The proposed scheme provides mutual authentication and guarantees data integrity, user untraceability, nonrepudiation, and forward and backward secrecy, in addition to being resistant to replay attack. Chin-Ling Chen, Yong-Yuan Deng, Chin-Feng Lee, Shunzhi Zhu, Yi-Jui Chiu, Chih-Ming Wu, An Internet-of-Things-based Sensing Rural Medical Care System, Sens. Mater., Vol. 31, No. 3, 2019, p. 1037-1063.